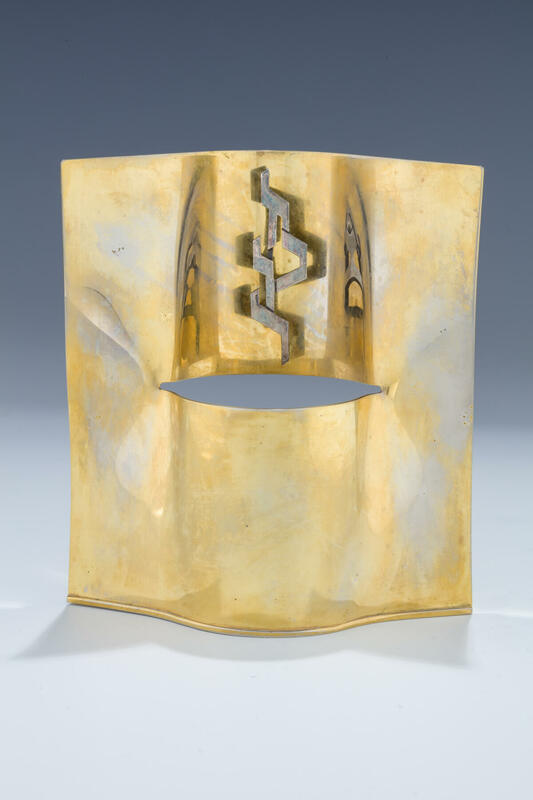 A YARZHEIT CANDLE HOLDER BY ZELIG SEGAL. Israel, c. 1980. With cut out letters spelling out “zechor” mounted on a wavy back. 5.2” tall.